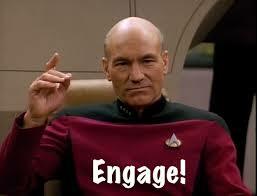 Only Jean Luc should use this word! Another list of words and phrases to AVOID in your grants, proposals and donor communications. You’re very welcome! Please email me immediately if you know what this word means, because most people don’t have a clue. Try to avoid words that Try Too Hard. I know funders who would burn your grant application if they saw this kind of vocab. I know what you’re thinking – this one’s not toooo bad. But come on. How often do you (un-ironically) use this word in your everyday speech? Exactly. This is the schmoopy NGO word used when you want to talk about building relationships and involving people in what you do. Wondering what other words made the list? Take a trip through the archives!